Jack Hammer is a man (actually a mascot) on a mission. Jack is the Illinois Department of Transportation’s (IDOT) mascot for Mission I-55 and should be up for Chicago’s recycler of the year-capturing more than 40 million pounds of steel for recycling. In February, Jack and Chicago IDOT kicked off the final phase of Mission I-55, a five-year reconstruction of the Stevenson Expressway. The Stevenson is a portion of I-55 which handles an average of 160,000 vehicles a day. When IDOT first opened the road in 1964, it was called the Southwest Expressway, and was designed for a daily load of about 22,000 vehicles-a far cry from its current volume. The wear and tear from an increasing traffic load and 34 years of Chicago winters, road salt and snow removal left the expressway in need of repair. So, in 1996, the Illinois Department of Transportation kicked off Mission I-55 to replace beams, decks, bridges surfaces and even bridge piers. In addition, the Stevenson will receive some modern upgrading, including the installation of barrier walls, modern traffic surveillance, road lighting and landscaping. In planning for this reconstruction, IDOT separated the 15 miles of highway into three distinct sections. The first was approximately 4 miles of total removal and reconstruction; the second was approximately 8 miles of concrete patching and resurfacing; and the last was a mile and a half of total reconstruction. A project of this magnitude has a potential of generating tons of waste. However, part of the plan for Mission I-55, as well as all IDOT programs, is to keep wastes to a minimum and recycle as much as possible. IDOT receives consideration in contract prices from the salvage value or the steel removed from the project. In this case, that’s 14 million pounds of rebar, and 26.5 million pounds of structural steel, not to mention tons of concrete. For this project, four contracts were awarded. The first was a joint effort by Walsh-Lorig, the second was awarded to Baker Heavy and Highway, the third to James Cape and Son, and the last to a joint venture by All Concrete and Callaghan Paving. The concrete was crushed right on site by the contractors, while the rebar was removed and bundled. The steel rebar was loaded onto trucks, along with the larger structural beams and taken to local scrap processors. The crushed concrete from the project was then used as subgrade for the new roadway, ensuring that all the old materials were recycled. 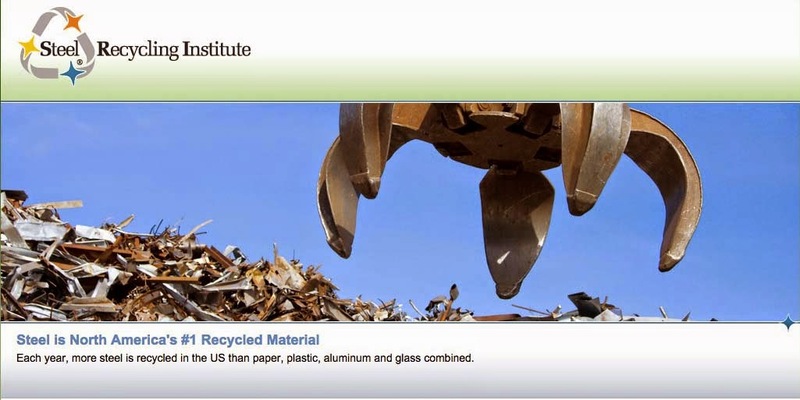 Dinkheller estimates that IDOT recycles millions of pounds of steel each year from various projects. Exact numbers are not available because each separate contractor is responsible for recycling and disposal of old materials on their particular project. The Mission I-55 Stevenson Expressway project is planned to be completed in October of 2000.